According to legend, “pearls are raindrops filled with moonlight that have fallen into the sea and were swallowed by oysters”. And in various cultures and religions, pearls have been associated with beauty, longevity, and perfection. It was referenced in the Holy Quran as a symbol of purity. In this region the pearl was not only an object of beauty, it had been a source of life for centuries. The warm waters of the Arabian Gulf produced highly prized colorful pearls with incredible lustre and luminosity. 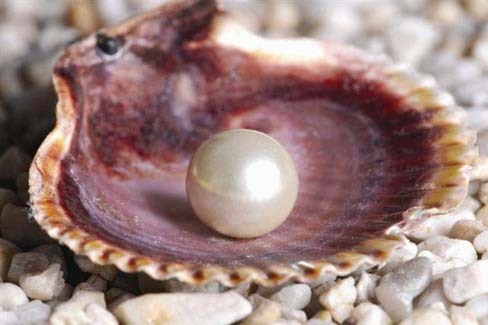 The UAE, in particular, produced the finest pearls in the world for over 7000 years. Pearl fishing was an industry that the whole community thrived on. 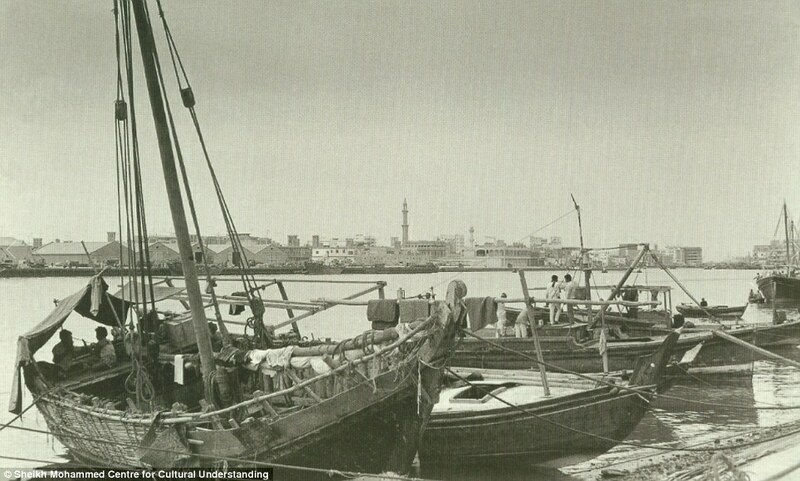 In the early 20th century 69% of the total population of Dubai, 10,000 people, were engaged in pearling. The pearl diving “Gahus” journey started with building the vessel, repairing it and getting the crew, which consisted of the captain “Nakhuda”, his assistant “Mijadimi”, a singer “Nahham”, the divers “Ghais”, the puller “Saib” and the trainee (as young as 10) and the cook “Jallas”. Each vessel, ranging from “Al-Banoosh” (15-30 feet long) to “Jalboot” (15-100 feet long), carried 15 – 18 crew member. Huge fleets of pearling vessels would set out to the oyster banks each season. The pearl fishing season was from April to September, and the crew survived on fishing, rice, dates and coffee, during the trip. Although the pearling industry offered potential wealth, it was also very dangerous for the divers, both physically and financially. They were given an advanced loan (some rupees and rice) at the beginning of the season to leave for their family to survive and that amount would be reimbursed at the end of the trip with the pearl findings. If the season were not fruitful, the debt would be passed to the following season or to the next generation. Pearl divers worked from sunrise to sunset, wearing only a nose clip, leather finger protectors, a stone weight and occasionally a cotton suit to protect them from jellyfish. They would dive for 90 seconds, around 40 meters deep, and they would descend about 30 times in one day, and collect about 12 shells in each dive. Once back on the vessel they begin to open the oysters with the “Meflaga”, a curved knife specially designed to open and search for the pearl. If a pearl were found it was given to the captain, who would keep it and negotiate with the merchant, waiting at the banks on dhows, and the diver would get a small share. Pearl trading was a highly skilled profession and a way of socialising, as traders would gather in coffee houses to do business and examine pearls. The traders had special grading tools to separate, measure and weigh the pearls. The value of the pearl depended mainly on its size, lustre, colour, complexion and shape. Pearls were often named according to their shape and colour. “Dana” was the name of the most perfect shape. The whole economy depended on the pearling season, as the money would circulate in the market and allow the community to yield the benefit. Pearls from the region were exported to India, Persia and Turkey and sold in European and Chinese markets and the UAE pearl industry boomed as it integrated into global markets. The decline of the pearl industry in the 1940’s was due to many factors, the Japanese production of the cheaper culture pearls in 1921, the 1930’s depression that ruined the wealth of many customers, and the ban imposed by the Indian government on pearl imports from the Gulf in 1947-48. However, the discovery of oil in the 1960’s and the birth of the industry offered many divers and fishermen a new and easy source of income. 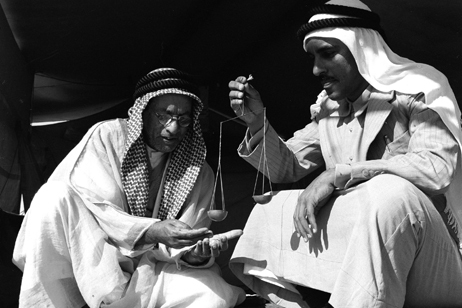 The pearl diving tradition and cultural heritage is a source of pride in the UAE. The Pearl Museum in the Emirates NBD’s Head Office is home to a unique pearl collection which is a personal collection and donation of Sultan al Owais, a son of a pearl merchant and one of the NBD’s founders. The Museum is located in on the Creek and opened in 2003 for visitors. Its aim is to preserve the history of this tradition and to remind people of the origins of the Emirates and what life was like before the discovery of oil. Booking is required prior to visiting.